Space launch is the earliest part of a flight that reaches space. 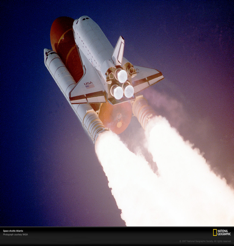 Space launch involves liftoff, when a rocket or other space launch vehicle leaves the ground at the start of a flight. Liftoff is of two main types: rocket launch, the current conventional method, non-rocket spacelaunch where other forms of propulsion are employed, including airbreathing jet engines or other kinds. The goal of Space Launch is to become a synergistic dominant international player in commercial space transportation, information technology, and national security systems. This new company will bring the world into the new age of information technology and space exploration and tourism. Space Launch, Inc. (“SLI” or the “Company”) was founded in March of 2008 as a Delaware C Corporation with executive offices at La Jolla, California (Telephone: 858-220-0243, email: spacelaunc@aol.com) to develop the world's first orbital reusable launch vehicle (“RLV”) for the United States Department of Defense and the global commercial launch market. The Company believes the U.S. government is initiating strategic programs for funding launch vehicle development over the next decade, and the commercial market will need to replace hundreds of antiquated satellites over the next few years. Space Launch has the vision, timing, and expertise to create the first truly reusable space launch vehicle for government and commercial payloads. Launch vehicles have been in use for the past 50 years, but none have been truly reusable. NASA’s Space Shuttle is the closest to reusability in launch vehicle design. Developed in 1981, the Shuttle has been relegated to transporting crews, modules and supplies to the International Space Station, and the obsolete vessel will be retired in 2011. With exception to the Shuttle’s final stage, the majority of vehicle stages are expendable. Expendable launch vehicles are very expensive and require large numbers of ground personnel to assemble, prepare, test and launch. Expendables also pose an environmental risk when re-entering the earth’s atmosphere as well as create dangerous space debris, with toxic chemicals and components within the expendable stages as well as large orbital skylabs that haphazardly fall back to earth. On the other hand, reusable vehicles when properly engineered offer many advantages, including low-cost-per-flight, quick turn around and high reliability. Space Launch has logistics and flight systems blue printed in a definitive white paper on ground launched Reusable Launch Systems. The Company has proprietary intellectual property in the lifting body airframe of the Surflyer 1990 base patent, published by Lockheed Martin Astro Space in the American Institute of Aeronautics and Astronautics (“AIAA”). The Company through a previous entity known as Space Launch International, Inc. has collaborated with Stanford University Stanford University Center for International Cooperation in Space involving NASA, and the Hoover Institution. Space Launch has proprietary reusable launch vehicle designs and launch systems logistics that promote conservation of natural resources, preservation of our planet’s environment, and savings of more than 80% in total costs in comparison to competitive launch vehicles.